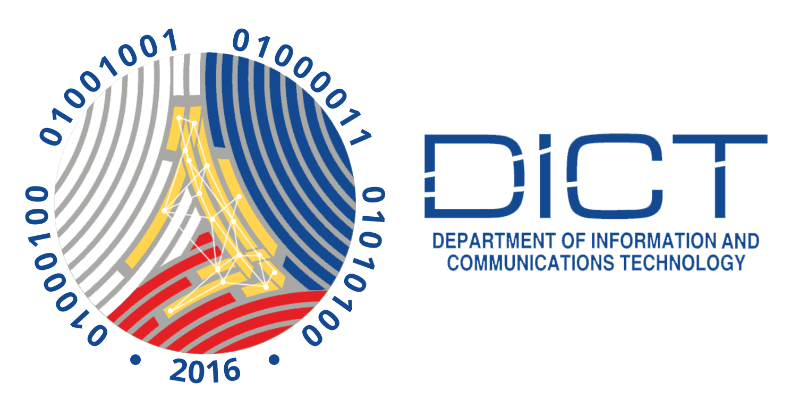 The Department of Information and Communications Technology first began as the Commission on Information and Communications Technology (CICT), a preceding agency created on January 12, 2004 as a transitory measure in the creation of a department specifically focused on the development of ICT in the country. The CICT was composed of agencies within the government that were tasked with handling computer technology as well as those whose main function has to deal with communication matters, namely the National Computer Center (NCC), the Telecommunications Office (TELOF), and the communications branch of the Department of Transportation and Communications (DOTC). To help with policy coordination, the National Telecommunications Commission (NTC) and the Philippine Postal Corporation (Philpost) were involved with the CICT as well. The CICT would go on to endure various revamps and restructuring until it was formally organized and recognized as the DICT. As a part of the government’s executive branch, the DICT is committed to providing every Filipino access to vital ICT infrastructures and services, while also ensuring the sustainable growth of ICT-enabled industries that can lead to the creation of more jobs. This is evident through campaigns that deal with providing free public Wi-Fi access as well as improved Philippine broadband internet download speeds and reliability. The DICT is also focused on developing and supporting ICT-based industries in the many rural regions of the country, working with LGUs and other stakeholders in the planning and implementation of ICT infrastructure in these areas. Such an effort would make these underdeveloped areas a preferred location for BPO centers and other ICT industries. Finally, the DICT is also mandated to address the growing threat of cybercrime in the Philippines. With the Cybercrime Investigation and Coordinating Center (CICC), it has already begun formulating strategies, initiatives, and frameworks to protect the nation’s critical and non-critical infostructures. Alongside this, the department is moving forward with the establishment of a national emergency response team in case of mass hacking and cyberattacks.